An island which is well-known for its pirates back in the 17th century and making Tortuga rum cakes for the entire Caribbean is to feature a new large cruise destination built by Carnival Cruise Line. The island of Tortuga is just of the north coast of Haiti and Carnival has made an agreement with the Haiti government to develop a $70 Million cruise destination making it the largest investment from a cruise company. 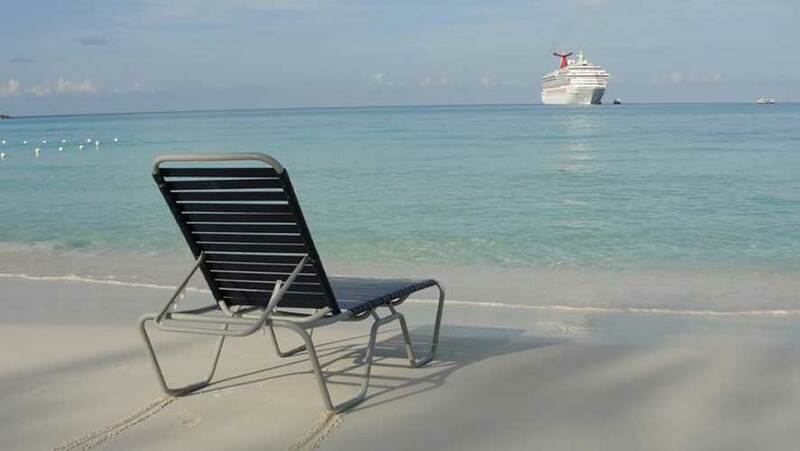 Carnival Corporation & plc signed a memorandum of understanding that calls for the development of a new destination cruise port in Tortuga, an island just off the northern coast of Haiti. The amount of investment per the LOI of $70m represents the largest cruise industry investment ever made in Haiti, providing a new and exciting destination for ship itineraries traveling in the Caribbean. This also represents a major commitment to the people of Haiti by Carnival Corporation – the largest cruise company in the world, with nine industry-leading brands and dozens of ships operating in the Caribbean, the world’s most popular region for cruise vacations. The development will create an exciting opportunity for our guests to enjoy a new, secluded and stunning destination in the island of Tortuga that the company expects will become a very popular place for guests to enjoy for years to come. At the same time, this commitment will initially stimulate significant development and construction activities, and then tourism business once the port is open, that will create a tremendous economic impact for the people of Haiti. Our initial estimates indicate we will employ more than 900 people directly and indirectly, and the project will be an anchor for further development on the island. We are working together with the Haitian people and government to build Tortuga into popular and economically sustainable Caribbean destinations. This commitment to Haiti is part of Carnival Corporation’s larger investment in the Caribbean as a whole. The Caribbean is a crucial market for the success of Carnival Corporation and the cruise industry in general – and we remain committed to creating new and exciting products in the region. The Caribbean is not only the most popular region for cruise vacations, but it is also where Carnival Corporation’s roots are, and where the company’s nine brands deploy a large number of ships and set sail with millions of guests every year. As we work to develop more diverse itineraries in the region, this new port will complement other popular destinations in the area, including our other Carnival-owned ports of Mahogany Bay, Half Moon Cay, Grand Turk, Puerta Maya and Amber Cove, another new Carnival Corporation port being developed in Puerta Plata, founded by Christopher Columbus on the north coast of the Dominican Republic and scheduled to open with much anticipation in 2015. The new port is expected to offer guests an exotic experience with a beach, retail venues and shore excursions. The cruise line is has not yet released all the details about the development but Cruise Hive predicts that it will be something similar to Carnivals current private destinations of Half Moon Cay in the Bahamas, Mahogany Bay in Honduras and Grand Turk in Turks and Caicos. The new development will make 900 new employment opportunities for locals which will also boost the local economy. Due to the amount of jobs which could be available this new development could rival the size of Royal Caribbeans exclusive cruise destination of Labadee which is near by on the northern coast of Haiti.